Digital video is taking off as a marketing tool, and brands are using it in more and more creative ways on social media. For travel brands – which can benefit from showcasing the visual elements of the experiences they offer – it’s especially important to have a strong video strategy. Digital video is taking off as a marketing tool, and brands are using it in more and more creative ways on social media. For travel brands — which can benefit from showcasing the visual elements of the experiences they offer — it’s especially important to have a strong video strategy. We researched the videos travel brands posted to Facebook that received the most likes, comments, and shares so far in 2015. A few clear themes emerged over and over again, giving us some insight into what makes an engaging travel video. Here are the creative marketing lessons we learned from the most engaging videos. In the beginning of the year, Singapore Airlines created a video around something everyone can relate to: New Year’s resolutions. The footage takes a look at different groups of people and their resolutions that relate to travel. (For example, one man wants to take his family on their first family vacation ever, one woman wanted to take a solo trip, and so on). Singapore Airlines paid for their trips and documented their experiences. Much of the footage was filmed using GoPro-type devices, which gives the video a more personal vibe. The video works especially well because it’s about something that’s consistent with an airlines brand. New Year’s resolutions are a common experience for people and travel is often a part of them. Singapore Airlines was clear about their involvement in each group’s trip, which works well because people value transparency. The video received roughly 105,000 interactions and 218,000 views. (That’s nearly one interaction for every two views.) It’s the fourth most-engaging video from a travel brand so far this year. In February, KLM released a video demonstrating how autopilot on planes works. It gives viewers an inside look into the cockpit and the procedure of flying from the pilot’s perspective — all the way from takeoff to landing. The video got shared on Facebook nearly 30,000 times and was viewed over 2.2 million times. It’s the eighth most-engaging travel video this year. The reason this video works so well is that it taps into an area of people’s imagination. Fans love to get the inside scoop into what’s going on, and they appreciate feeling like they get to access something that had been inaccessible before. That’s one of the reasons why, for example, the McDonald’s video earlier this year showing how their fries are made got a lot of attention. Not every video needs the planning and precision of a full-length feature film. Social is a great place to share real things that are happening. When overproduction happens, brands can often appear ingenuine and out of touch. Sometimes, the best videos can come out of filming real people experiencing real things. In June, Virgin Atlantic uploaded a video of a surprise they gave passengers on a Detroit flight: Richard Branson and the Virgin Atlantic team arranged for the cast of Motown the Musical to perform in the aisles in celebration of the airline’s new Detroit service. The light-hearted video gives us a glimpse into the performance and the reactions of the passengers. It’s clear this surprise was enjoyed by more than just the passengers on the flight; it received over 86,000 interactions and was viewed almost four million times. It ranks seventh on the list of top engaging travel videos on Facebook this year. Perhaps the best feature of a strong video strategy is being dynamic. Travel brands can approach online video in many different ways. They have a huge opportunity to showcase visual content since it’s so closely tied to their industry. It’s important for travel brands to keep exploring to figure out which ideas are a hit and which are a miss, and they should continue to test out videos on social in new ways to continue connecting with their audiences. In order to succeed in the eyes of consumers, they must be willing to explore meaningful experiences and share openly with their audiences. Social media has transformed the way customers speak with brands. Among its many benefits, social media has created a place for customers and clients to reach brands easily and quickly at any time of the day. With this great power in communication comes great responsibility for travel companies. That mass of people — which can turn into millions during a crisis — expects a response to each individual issue and question. But social isn’t, and shouldn’t be viewed as, a burden. It should be looked at as an almost-limitless end of possibilities. Social media gives you the ability to listen into a wide array of people — from your die-hard fans to your rarely vocal customers. In a way, it’s sort of like a giant focus group that you can access anytime. Make it easy for your customers to talk to you. Most social customer care happens on Facebook and Twitter. Unfortunately, travel brands are making many mistakes when it comes to optimizing their profiles on these platforms to encourage conversation. On Facebook, it’s imperative that travel brands open their walls in order for people to post on their timelines. This year, our data suggested that 30% of airlines globally still have closed walls on Facebook. A closed wall automatically makes it difficult for customers to voice their feedback and means a lot of missed opportunities for your brand. On Twitter, we encourage travel brands to provide customer support from their main Twitter profile, instead of making a separate customer support profile. This allows consumers to easily direct their questions to the right place. Still, this can be difficult for many companies to do for a number of reasons, so if a company must create two handles, it’s important to list out the customer care profile on the main profile page. Turkish Airlines is a good example of a brand that does this by linking to their support handle, @TK_HelpDesk, on their main handle, @TurkishAirlines. For travelers, time is of the essence. Think of customers traveling by plane; a good chunk of their questions are going to be about their flight that’s coming up shortly. That means they’ll need quick help and a quick response from their airline should they post or tweet a question. Unfortunately, not all companies are punctual in providing service on social. In fact, we found that the average brand takes 33 hours to respond to customer inquiries, if they respond at all. That’s a huge amount of time for customers who don’t have the luxury of waiting around for an answer. Travel brands need to make sure they’re equipped to provide quick service. One easy way to prepare for this is to do an analysis of the type of questions your company is receiving on social media. Many times, companies will find that the bulk of questions are about the same recurring topics. Companies can then set up procedures on how to deal with these main topics, which makes responding to them easier. For example, when we took a look at a sample of questions directed at U.S. airline brands, we found that one of the most-used keywords was “delayed.” This tells us that many inquiries were about flight delays, which means an airline company would probably benefit from having a quick procedure to deal with questions about delays. It’s important that your customers know you’re dependable. This means taking the first step to show up and respond. Leaving questions unacknowledged is a big problem for both customers and brands. Some brands hold themselves accountable to a certain standard in customer care. For example, Royal Dutch Airlines (KLM) provides an estimated wait time for responses on their Twitter profile. This gives customers a sense of when they can expect a response, and it holds KLM to their promise to provide that response as soon as they can. In Q3 2014, we found that 10% of brands received 65% of all questions asked of brands on Facebook and Twitter. Customers start asking brands more questions and interacting with them more when they know that those brands will respond. The more companies respond, they more interaction and dialogue they’ll spark with their fans. As the holiday rush slows down, the first weeks of 2015 provide a great opportunity for travel brands to look at what worked and what didn’t over the hectic holiday season and start the new year off on the right foot. Coming into the new year, it’s time for travel marketers to really get serious about providing optimal customer care on social media. The more activity marketers encourage with their customers, the more dependable the brand becomes for them. And in the competitive landscape of the travel industry, those that show their customers they care and build brand loyalty will win out. via How Travel Brands Can Excel At Social Customer Care In 2015 12/29/2014. DUBAI, U.A.E., 6th August 2013: Emirates, one of the world’s fastest growing airlines today announced that it will start to roll-out Google Now™ cards for their passengers who book via Emirates.com. 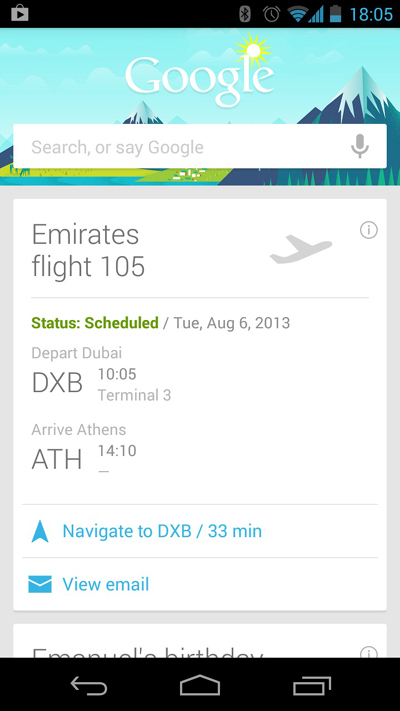 via Emirates becomes the first Airline in the Middle East to use Google Now™ | Emirates United Arab Emirates. US Airways Andrew Nocella To Lead AA Marketing Organization – Business Travel News. US Airways senior vice president of marketing and planning Andrew Nocella will serve as chief marketing officer of the merged American Airlines, BTN has learned. He will oversee the commercial organization, which includes the agency and corporate sales team that AA vice president of global sales Derek DeCross will continue to lead under the same title. 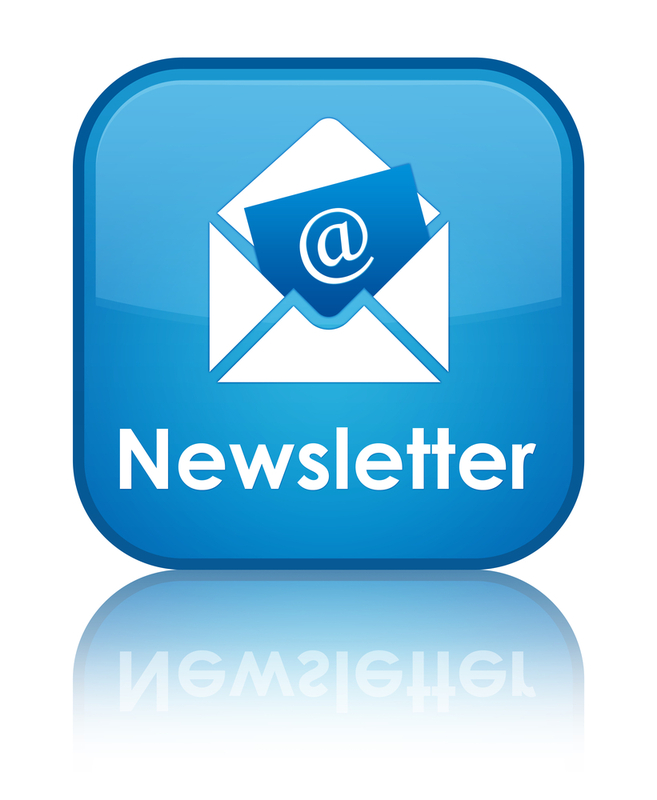 IATA – : The Airline Industry Story for 2012. Montreal – The International Air Transport Association (IATA) released the 57th Edition of the World Air Transport Statistics (WATS), a yearbook of the global airline industry and IATA members’ performance. Air freight markets suffered another difficult year punctuated by shrinking demand, falling utilization and lower yields. Global freight tonne kilometers decreased by 1.1% compared to 2011 but still represented an estimated $6.4 trillion of goods by value. The top five airlines ranked by total scheduled freight tonnes carried were Federal Express (6.9 million), UPS Airlines (4.6 million), Emirates (2.0 million), Korean Air (1.5 million) and Cathay Pacific Airways (1.4 million).